Every year thousands of women around the world ride a 100KM, celebrating the simple joy of riding together. Introducing the Rapha WOMENS100. 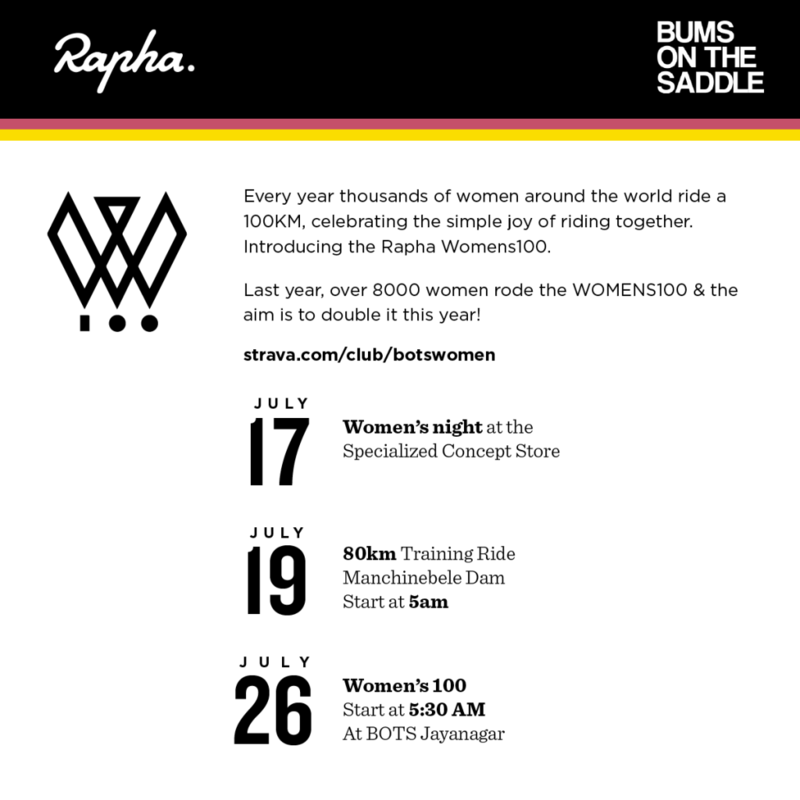 Last year, over 8000 women rode the WOMENS100 and the aim is to double it this year! We’ve signed up with Rapha, a to-die-for lifestyle cycling apparel brand, to run this exciting initiative in Bangalore. We are super excited about the upcoming 100KM ride. It’s the first time this is being run in INDIA and more importantly a 100KM is always a personal landmark. Experiencing the challenge together as women is going to be something else! A 100kms it is! Let’s do this.